CALLED the simplest self-propelled vehicle in the world, a radically new type of bicycle, entirely without pedals, is driven by body motion alone. 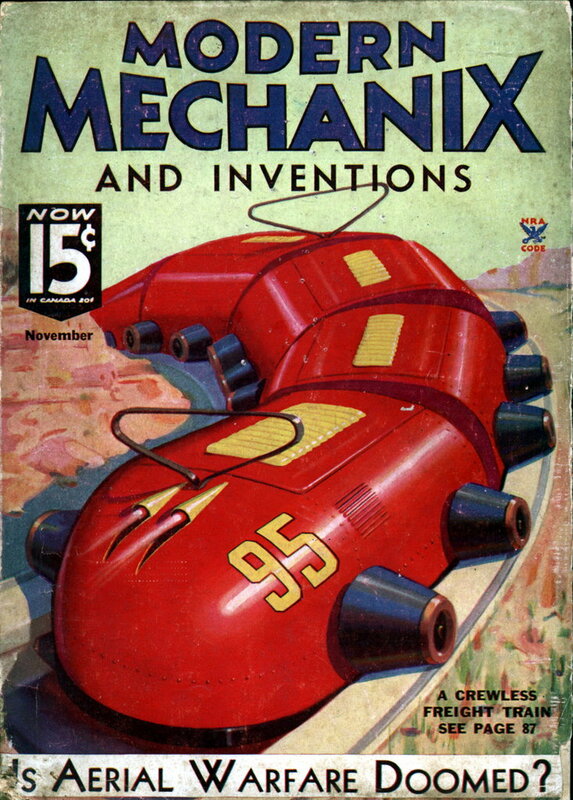 The rear wheel of this “x-ercycle,” as it is called, is eccentric; the rider stands on a springy footboard and swings his body in rhythm with the up and down movement of the frame to produce forward motion. 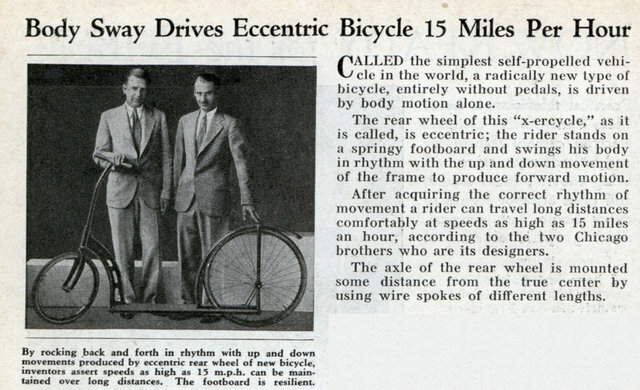 After acquiring the correct rhythm of movement a rider can travel long distances comfortably at speeds as high as 15 miles an hour, according to the two Chicago brothers who are its designers. The axle of the rear wheel is mounted some distance from the true center by using wire spokes of different lengths. In the 3 Stooges short, “Yes We Have No Bonanza” at about 1:07 minutes into it you can watch Curly riding an x-ercycle. You are very welcome, Blurgle. The Exercycle became the Ingo-bike..which I modelled my Whymcycle after in 1988.
is a large amphibious All-terrain version, which has over 1,000 bouncing miles on its used race sprint car tires. They bikes are indeed very efficient, energy-wise.